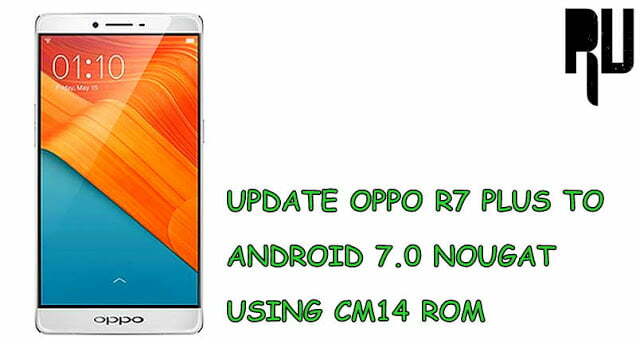 How to update Oppo R7 plus to Android 7.0 Nougat . 1 How to update Oppo R7 plus to Android 7.0 Nougat . 1.1 Download and Install CM14 Android 7.0 Nougat in Oppo R7 Plus . 1.1.1 Upgrade Oppo R7 Plus to Android Nougat 7.0 . Do you own oppo r7 plus ? and want to Update r7 plus to nougat ? if yes then you are at right place . Today we are here with the guide on How to update oppo r7 plus to android 7.0 nougat . Oppo r7 plus is a huge device with 6.0″ Screen with full hd resolution and 361 Ppi . The device comes with Qualcomm snapdragon 615 and 4Gb of ram . As the smartphone was launched in 2015 so it still runs on android 5.1 lollipop and till now company haven’t released marshmallow for the device So we dont see any signs of official Nougat update for oppo r7 plus . Android 7.0 is the latest android version which comes with many new features. One of the best feature of Android 7.0 is the multiwindow feature and in this feature you can easily open another app in a window without leaving the current app . There are some more interesting features like System ui tuner, battery management . So lets start the guide On How to Update Oppo r7 plus to android 7.0 nougat . Download and Install CM14 Android 7.0 Nougat in Oppo R7 Plus . So to update the device we will use CM14 Custom rom . CM14 also known as cyanogenmod 14 is a android 7.0 nougat based custom rom that comes with all features of Android 7.0 . Battery Profiles to increase battery backup . Switching between apps is smooth . How to Update oppo R5 to Android 7.0 Nougat . This is a Custom rom so follow each and every step carefully while flashing the rom on device . This CM14 rom is only for Oppo R7 plus so dont try to flash it on any other device . Minimum 4Gb of space is required to install the update . Cwm or TWRP recovery is required , You can read our guide on How to install CWM / TWRP recovery without PC . It is recommended that you download the update in pc and then transfer it in your Device . How to Use Paytm Without internet on Any mobile . Sim card works fine . Upgrade Oppo R7 Plus to Android Nougat 7.0 . First of all Download CM14 for Oppo R7 plus . As mentioned earlier that download the rom in your pc . After connecting make sure the pc recognizes your device . Now you have to disconnect your smartphone from pc . Now you have to boot your device in recovery mode . To boot in recovery mode you have to press Volume down + Power button together . Dont release the keys untill the smartphone enters in recovery mode . 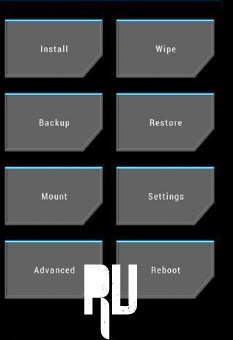 Now tap on backup and make a backup of all files and current installed rom . Just tap on yes ” Install the rom ” . Now after successful installation you will get a notification ” Update.zip flashed successfully ” . The first reboot will take around 5 minutes to complete, However its normal and you dont need to worry . Thats all !!! You have successfully update Oppo r7 plus to nougat 7.0 . Thats all !!! So this was how you can Officially update Oppo R7 plus to android 7.0 nougat . So this was our guide on How to update Oppo r7 plus to android 7.0 Nougat, I hope you liked our guide .